Necklace, 6-strand, glass seed bead and thread, antique copper, 28-inch with (12) 6-inch hand-loomed dangles. Sold individually. 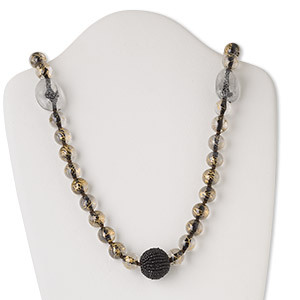 Item Number: H20-2255JD Have a question about this item? 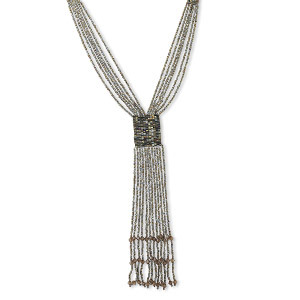 Six strands of antique copper seed beads hand-loomed into a necklace with 28 inches of luxurious length and twelve 6-inch long dangles. Colors, shapes and sizes may vary in each lot. 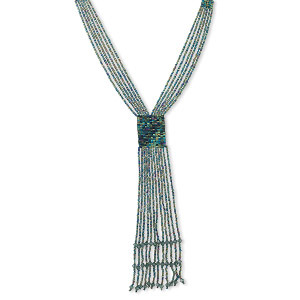 Necklace, 6-strand, glass and acrylic, green, 26-1/2 inch hand-knitted. Sold individually. 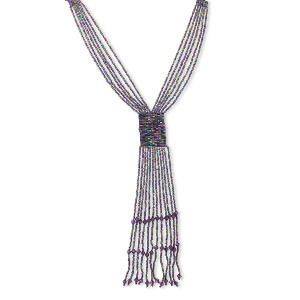 Necklace, 6-strand, glass and acrylic, purple, 7-1/2 inch dangle, 27-inch hand-knitted. Sold individually. 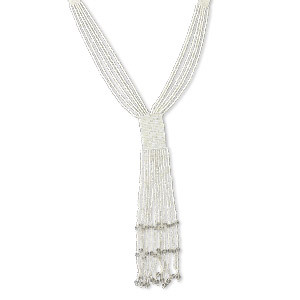 Necklace, 6-strand, glass and acrylic, white, (12) 8-inch dangles, 28-inch continuous loop. Sold individually. 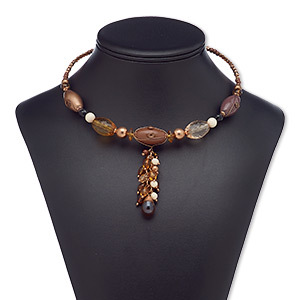 Necklace, 6-strand, acrylic and glass, brown, 27-inch hand-knitted. Sold individually. 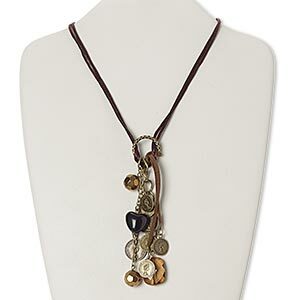 Necklace, acrylic / satin / glass / antiqued brass-finished steel, copper / brown / black, 5-inch dangle with heart and coins, 24 inches with 2-inch extender chain and lobster claw clasp. Sold individually. 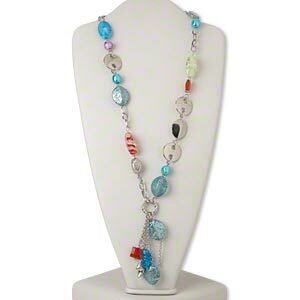 Necklace, acrylic / glass / silver-coated plastic / silver-finished steel, blue-green and red, flat round, 28-inch continuous loop. Sold individually. 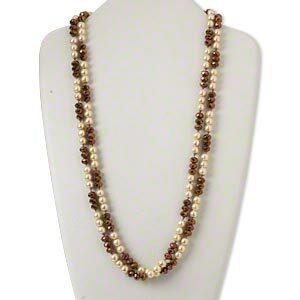 Necklace, acrylic pearl and glass, gold and metallic brown, 8mm round and 8x6mm faceted rondelle, 56-inch continuous loop. Sold individually.